Oxford University Press, USA, 9780190271756, 336pp. Paul and the Gentile Problem provides a new explanation for the apostle Paul's statements about the Jewish law in his letters to the Romans and Galatians. Paul's arguments against circumcision and the law in Romans 2 and his reading of Genesis 15-21 in Galatians 4:21-31 belong within a stream of Jewish thinking which rejected the possibility that gentiles could undergo circumcision and adopt the Jewish law, thereby becoming Jews. Paul opposes this solution to the gentile problem because he thinks it misunderstands how essentially hopeless the gentile situation remains outside of Christ. 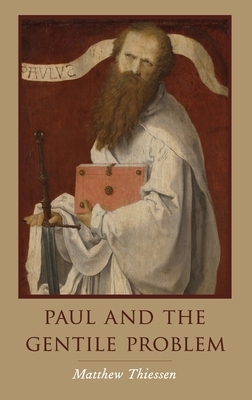 The second part of the book moves from Paul's arguments against a gospel that requires gentiles to undergo circumcision and adoption of the Jewish law to his own positive account, based on his reading of the Abraham Narrative, of the way in which Israel's God relates to gentiles. Having received the Spirit (pneuma) of Christ, gentiles are incorporated into Christ, who is the singular seed of Abraham, and, therefore, become materially related to Abraham. But this solution raises a question: Why is it so important for Paul that gentiles become seed of Abraham? The argument of this book is that Paul believes that God had made certain promises to Abraham that only those who are his seed could enjoy and that these promises can be summarized as being empowered to live a moral life, inheriting the cosmos, and having the hope of an indestructible life. Matthew Thiessen received his Ph.D from Duke University in 2010. His first book, Contesting Conversion, won the prestigious Manfred Lautenschlaeger Award for Theological Promise (2014). He has also won the Society of Biblical Literature's Regional Scholar Award (2014). He is currently Associate Professor of Religious Studies at McMaster University.